1. Balloon Sleeve Tie Top // Topshop is having an up to 50% off their sale items! LOTS of cute things! 2. Betsey Johnson Graphic Long Sleeve Pullover // Lord & Taylor is having up to 30% off with code FRIENDS + 15 % off almost all Beauty until the 23rd! 6. Sam Edelman Leopard Print Booties // Bloomingdales has up to 30% off with code SAVEMORE until the 22nd! 10. Madewell Pauline Boot // Madewell is having an extra 30% off sale styles! There are a lot of really good sales going on right now worth sharing! 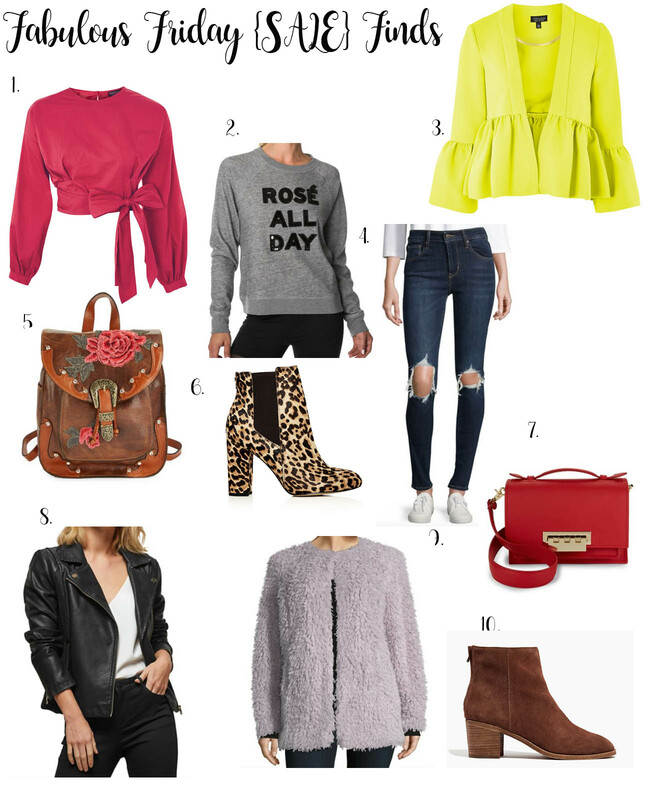 Above I put together some pieces that I LOVE & want all of them! Especially #2 & 6! GUESS- Up to 50% off sale! URBAN OUTFITTERS- Up to $50 off! ANTHROPOLOGIE- Up to 25% off! POTTERY BARN-Up to 40% off! WEST ELM-25% off all in-stock items!